It’s no secret that gaming cultures and communities—including game studies—have longstanding issues with inclusion, especially inclusion of marginalized and underrepresented peoples. The most apparent example of this is #GamerGate, the thinly veiled, ongoing harassment campaign against game critics, scholars, and developers who are women, people of color, or LGBTQ folk. Game studies has fared somewhat better in this regard, in that many game studies conferences and publications include some scholars from marginalized communities, and to some extent encourage academic criticism of games and gaming cultures. Yet even in game studies, the study of race, gender, sexuality, and other identity categories remains cordoned off from the rest of the field: they’re things that scholars of these topics engage in, but others can ignore. In other words, they’re viewed as specializations or special issues, but optional ones at that. Yet if we as gamers and game scholars truly hope to create inclusive gaming communities and game studies, or to seize on the potential for games to “make us better” or “change the world” in Jane McGonigal’s words, then we have to stop compartmentalizing discussions of identity, community, and intersectionality. There is no sitting on the sidelines when it comes to race in games. There is no part of gaming or game studies where it is not an issue, so there is no place where it is possible to ignore it without doing harm. The same is true for gender, sexuality, disability, or class. To pretend they are separate issues is to perpetuate exclusion and marginalization by refusing to confront them. We can’t marginalize the discussion of marginalization and expect anything to change. If we want to change our culture and realize the potential of games, then we all have to actively cultivate practices of inclusion. That sounds like a tall order, because it is. Creating inclusive communities requires a lot of listening to each other, educating ourselves, and respecting and navigating difference. But the good news is that none of us has to do this work alone. We can do it together, and together we can build the communities and programs that can sustain and empower us all. For example, the Inclusive Game Development Collaborative, hosted by Michigan State University and founded by Dr. Elizabeth LaPensée, is a cross-institutional program dedicated to supporting diversity of all forms in game development (http://gamedev.msu.edu/inclusive/). It provides a forum for sharing and discussing issues of representation and inclusion in games, and further organizes events at MSU that focus on topics such as concept art and representing cultures or indigenous game design. The Collaborative exemplifies how to bring people together from different backgrounds and experiences, and to especially support developers and scholars who have been marginalized or excluded in gaming culture. As part of the Collaborative, I’ve had the honor this fall of working with Jonah Magar at MSU Libraries to develop the Game Studies Guild, a group of scholars, students, and gamers interested in games and game studies that reads current game studies texts, plays games together, and engages in critical discussion of them. There are so many amazing faculty and students doing work with games at MSU, but unfortunately they rarely get the opportunity to work together across programs, departments, or colleges. Even when they get to, the work they do rarely makes its way out to communities beyond the university. 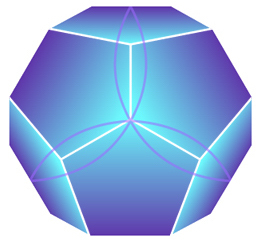 The main goals of the Game Studies Guild are to address this by fostering community and discussion across disciplines, supporting use of the Library’s developing gaming resources, and hosting critical gaming events that are open to the public and streamed on Twitch.tv (a popular platform for streaming gameplay). The group’s interdisciplinary and open nature is a reminder of another form of inclusion: the inclusion of different perspectives and forms of knowledge. This year’s events are further dedicated to issues of representation and diversity in games, and our fall events focused on these issues in Scott Cawthon’s Five Nights At Freddy’s and Blizzard’s Overwatch. We would love to have you participate in person or via our live stream, and you can find out more at our website (https://libguides.lib.msu.edu/gsg). All are welcome, regardless of experience or knowledge with games. There are so many ways to get involved with this work where you are: including readings and discussions of intersectionality and inclusion in your courses, forming a reading or working group dedicated to these topics, attending and supporting existing events related to them, starting a program at your institution that promotes them, or even just making them a topic of conversation in the gaming groups and communities you’re a part of. Whichever way you choose to get involved, the crucial thing is that you do. The HASTAC (Humanities, Arts, Science, and Technology Alliance and Collaboratory) 2017 conference is already starting to feel like a distant memory, but as always it was a fantastic opportunity to meet with many brilliant scholars, teachers, and activists who are committed to transforming pedagogy to meet the challenges of today’s digital world. If you weren’t able to attend, definitely take some time to look over the program: there were many fantastic panels and workshops, such as “Building a Feminist Future” (Savonick, Meade, Bosch, Sperrazza, Esten, Tran, & Woods), “Multi Lobes, Multi Modes: Fostering Student Engagement and Learning Through Multimodality” (Garrett Colón, MSU), and “The Half-Real Humanities: Hard Problems in Humanities Games” (Dewinter, Dombrowski, Fanfarelli, & Mcdaniel). My own panel with Dan Cox, Kristopher Purzycki, and Howard Fooksman was titled “[[Enter Twine’d]]: Linking Teaching and Learning through Hypertext,” and focused on using Twine, a platform for authoring interactive fiction and games, in the classroom. 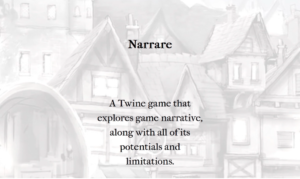 When I first started using Twine in my courses, I had two goals: first, I thought Twine could be a great way to introduce students to game design and development, and second, I thought Twine could help teach narrative concepts and theories by showing them in action. To test these possibilities, I built Twine into “Games as Art, Narrative, and Culture,” my course at MSU that is part of the Integrative Studies in Arts and Humanities general education requirements for undergraduates. As part of the course, I had students build their own Twine games as one of their major projects. I introduced students to Twine by having them play Twine games such as anna anthropy’s Queers in Love at the End of the World, Zoë Quinn’s Depression Quest, and Squinky’s Quing’s Quest VII: The Death of Videogames!. In addition to playing the games, we discussed Twine’s capabilities and how each game uses different mechanics to capture a different experience. Next students came up with their own game ideas, designing each idea around a particular experience they wanted to create for players. Finally, students put their ideas into action, and created basic games that used special effects and meaningful choices to deliver on their vision. Beyond student projects, I also created Narrare (“to narrate” in Latin), a Twine game meant to teach narrative theory in games. The game draws attention to concepts such as branching narrative, limited choices, character types and roles, and narrative voice. The game is still an ongoing project, but the current version is available on my website/portfolio at cmejeur.com. While I expected Twine would be helpful for meeting course objectives, I was surprised by how much students were excited and engaged by it. At first many students, particularly those with no coding experience or interest, found making their own game intimidating. However once they got into the design process, many of them reported becoming so immersed in their projects that they had to set limits for themselves to remember to work on other coursework. I suspect that this happened because making Twine games gave my students the opportunity to engage in a type of creative authoring that they unfortunately don’t often get to do in higher education. It allowed students to use their own experiences, perspectives, and voices to make something that was truly their own, and then to share that with their classmates. My students used this opportunity to tell their stories, especially those that they don’t often get to tell. For example, one student created a Twine game that captured the experience of culture shock that came with studying in the United States as an international student. Another told a story of a childhood event that has always stuck with them as a strange and meaningful experience, but that they hadn’t ever shared or represented before. What excites me so much about this is that Twine can do even more than teach introductory game design or narrative concepts and theories. It can provide a platform for telling stories that don’t get told, and for helping our students develop their own voices. Along the way they have to confront their own experiences, perspectives, and positions, and then think about how to share these things in meaningful ways. My hope is that this process will help students realize that their voices matter, and that they can use them in whatever education or career they pursue. Playing and designing with Twine reveals how the meaning we make with games reaches far beyond the ludic realm. I look forward to using these insights in my course design, and continuing to find better ways to support my students’ learning processes.